Over 60 attendees will present their work at the Hyatt Regency. Members of the Connect 2017 faculty, all registered attendees and the collecting public are invited for this event. 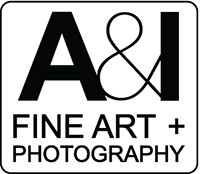 Canon, Epson, Leica, FujiFilm, Ricoh Imaging, Pentax, Canson, Workbook, BayPhoto, and others will be exhibiting. Canon, Epson, Leica, FujiFilm, Ricoh Imaging, Pentax, Canson, Workbook, BayPhoto, A&I Books and others will be exhibiting until noon. • SEMINARS: Friday Seminars will be announced in the coming weeks. The Daily Registration Fee for Monday – Thursday is $80, $40 on Friday.